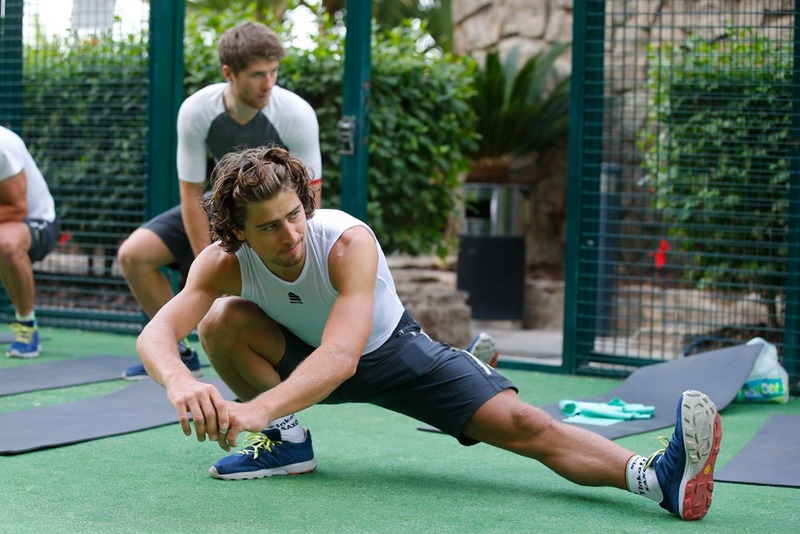 World champion Peter Sagan1 and Grand Tour champion Alberto Contador2 have joined their Tinkoff team-mates on the Spanish island of Gran Canaria for a pre-season training camp. The duo and other members of the Russian WorldTour team having been out for rides in the mountainous terrain of Gran Canaria, as well as reacquainting themselves with old team-mates and meeting new ones. 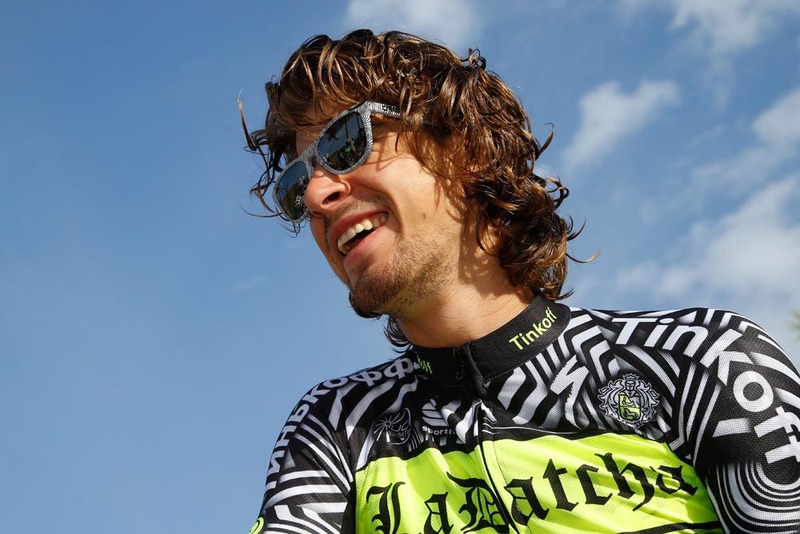 The camp has also been a good excuse to generate publicity for the team and its title sponsor, Tinkoff, the credit card company owned by Oleg Tinkov, who also owns the team itself. On Thursday, the squad unveiled its striking black-and-white striped training kit, emblazoned with the name La Datcha . The name refers to traditional second homes in Russia. The coming season is rumoured to be Contador s last, although the rider himself has seemed reticent to confirm this in recent months. Last season or not, he has said that he will aim for the Tour de France and then the Olympic Games road race4. The Spaniard will kick off his campaign at the Volta al Algarve in Portugal in mid-February. As world champion, much attention will be paid to Sagan, who will seek to win a one-day monument in 2016 to add to his expanding palmares. And there will be few who would bet against him claiming the Tour s green jersey once more in July. 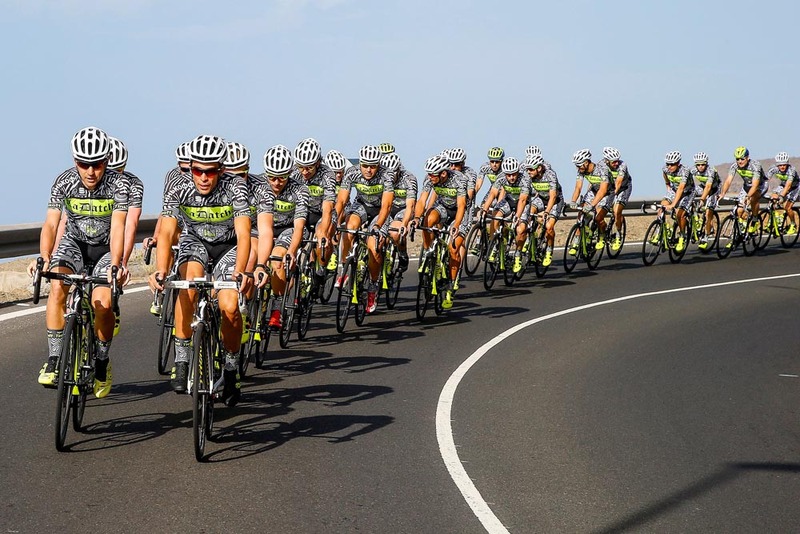 Sagan s first outing in 2016 will be the Tour de San Luis in Argentina, starting on January 17.